Who Are These CDs For? Kids CD - Sing Out Proud! 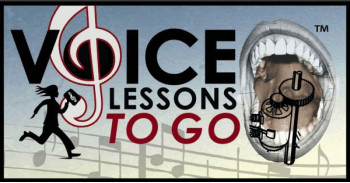 Voice Lessons To Go For Kids V.1 – Sing Out Proud! Welcome to my 5th Podcast! I woke up yesterday and remembered an audition I had years ago in which I learned a very important lesson. Here are some thoughts that I have about faking your confidence to get through a singing performance or audition. Voice Lessons To Go for Kids!- v.1 Sing Out Proud! Vocalize!- The sheet music compilation of all four Voice Lessons To Go CDs.